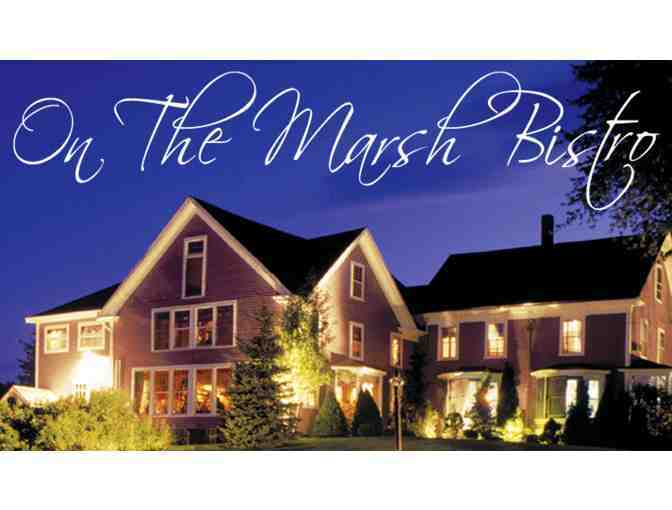 Enjoy the unforgettable blend of beautiful surroundings and excellent cuisine that is On The Marsh. Bon Apetit has recognized it as one the Best Restaurants in America (New England Edition). This holiday season, treat yourself and those you love to an unforgettable experience with this generous donation by Denise Rubin and On the Marsh. Now serving lunch and dinner.